2019 is just around the corner. It’s time to start thinking about your Blogging Goals for the new year. One goal many Blog Entrepreneur’s lists as the main goal is Blog Monetization. This is a 5 Part Blog Monetization Series focusing on different aspects of generating revenue for your blog. Designed to give you a clear understanding of income stream ideas and the importance of a diversified revenue generation. The series will post weekly until the New Year. Let’s begin by delving into Sponsored Posts. 1 What are Sponsored Posts? 2 How Do I Get Sponsored Post Opportunities? 7.1 Below are some great places to have Media Kits prepared for you at reasonable costs. Bloggers can work (partner) with brands to promote to your audience. These brands will pay you to write a post and promote their brand. Often times, your post will need to include links to the brand. Sound familiar? Yes, it does sound similar to Affiliate Marketing but Sponsored Posts can yield higher income or free products. How Do I Get Sponsored Post Opportunities? There are 4 ways you can receive sponsored post opportunities by being directly solicited, niche targeted, preferred brand and by working with influencer media agencies. To the most extent, all four ways are viable to receive sponsored post opportunities but the revenue and payment are not the same. As a new blogger, being approached directly by a company to promote a product can be thrilling. More than likely, you have not heard of the company before and the payment you receive is free products. For example, you will receive $80 worth of free plastic topiaries if you write a post about decorating topiaries for the holidays. You will be asked to promote the brand in a post to your audience. Pros: No legwork in finding a Sponsorship Opportunity. It’s your choice if you wish to promote the brand. Cons: The brand may not be aligned with your audience. Caution: When working with any brand who directly solicits you, make sure you do your research. Check out the company’s Better Business Burea rating. Proceed with caution because the brand never asked you for your traffic stats. A good brand sponsor wants to know the engagement level their product will receive. Do your due diligence! Similar to directly solicited sponsorship, niche targeted is simply a brand wants to work with you because of your traffic and niche. A brand will contact you requesting a media kit to preview your audience, social media followers and traffic to negotiate payment. Sometimes the brand will ask you to go to the store, by the product and do all the legwork. That’s a lot of work that you need to factor into the payment. Pros: Beginning of a beautiful relationship! If the brand likes your traffic stats, niche, and product engagement, this could be the start of you creating a new page on your blog for brands you work with. So if you have 250 page views a day, your sponsored post rate is $25. Also, remember to factor in the legwork you may have to do. Caution: Don’t get shortchanged! In your Media Kit, you have the traffic and the niche then start your relationship on even ground. You have a brand that you love and want to partner with them. To begin this relationship, search for their PR department and try to find the PR persons contact information. Send them a nice email introducing yourself, your blog and why you love their product. Be sure to attach your Media Kit! Do not include your sponsored post rate. You may find that they will send you free products instead of paying you. Also, remember to send the PR person stats on the post after it’s circulated for a time and any positive feedback you have received from your audience. Below are more suggestions on furthering a relationship with partnered brands. Payment: More than likely receive FREE Products instead of money. Pros: You love the brand and know the product well. It is a good fit with your niche. Cons: You might have shot yourself in the foot by already loving the brand. They may feel compensation is not needed, but free products. Give it some time and the relationship may turn into a paid sponsored posts. Caution: When researching the brand’s PR person’s contact information, be sure to see if the brand has an Affiliate Marketing Program. The PR person may refer you to that instead of partnering with them. Just be prepared for that scenario. Majority of bloggers find sponsored post opportunities via Influencer Media Agencies. The Influencer Media Agencies partner with a number brands and which you can choose to work with. Pros: Easiest way to find brands to partner with. Cons: May have to meet traffic and social follower requirements. Caution: You may not be accepted to a Media Influencer Agency. Try others until you find the right fit. When approaching and applying to brands for sponsorship opportunities, do have a Media Kit for your website prepared. You should have a professionally made Media Kit done for you and have the Media Kit accessible via your Contact Page. Below are some great places to have Media Kits prepared for you at reasonable costs. Or you can create your own Media Kit via Canva. Canva was multiple Media Kit Templates to choose from. When beginning a relationship with a brand partnership be sure to create a personable contact with the PR Manager or representative. Communication is the key! Be Proactive – If you know of certain events or holidays approaching, then it’s a great time to bring it up to the brand’s manager as an to engage with your audience. For example, National Soup Day is coming up and you would like to promote the brands chicken soup that day. 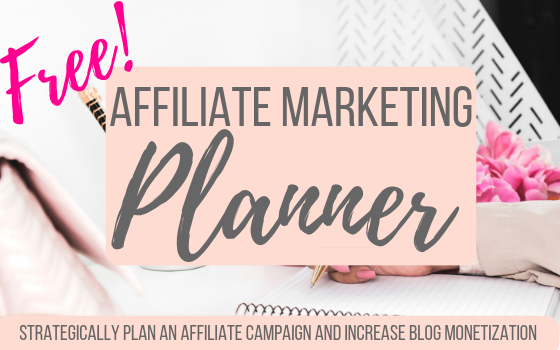 Find Engaging Events and National Days with the Affiliate Marketing Calendar. It’s a free resource to help you research opportunities to partner with brands. With 2019 fast approaching it’s a great time to begin planning and researching brands for sponsored posts. Get a Media Kit together or simply refresh an existing one. Be sure to subscribe to stay posted on this 5 Part Monetization Series. These are great tips! I have been wanting to a sponsored post so I will definitely save these! Thank you Amanda! I hope this helps you get started with generating Sponsored Post revenue for 2019! I’m approaching my first year of blogging in a week. So far I’ve only done product for post trade, which I’ve been fine with. For my second year, it’s my goal to increase my page views enough to start charging for sponsored posts. I would also love to get onto some PR lists. I know a lot of Lifestyle bloggers, like myself, are sent a lot of products that are relevant to their niche….any tips for doing so? Thanks so much! Hi Madi! Yes, sign-up with as many of the Influencer Media Agency’s that appeal to you. That way you’ll be on their list when sending products. Also, I find that bloggers get spotted/name shared when we sign up with Affiliate Networks. Smaller companies use that method to collect info. Sounds like your on the right track!!! Hugs!! Thanks for the post. As a new blogger this gives me some great ideas to help start monetizing my blog! Thank you Jacquie! Reach out if you ever need anything! Thanks you so much for sharing!!! Much needed info and great tips. Thanks a lot!!! Your Welcome Buena! 2019 is going to be a great year for us bloggers!! I have been searching for information on this topic. This is very informative. Thank you for posting. Thank you so much for sharing this! I’ve been looking to start doing sponsored posts, but I’ve been confused how to go about doing that. I pinned this post so I can easily reference it. Hi Disha! Defiantly sign-up with some Influencer Media Agencies and you will be on your way. What amazing information. I’m new to blogging so I love these types of posts that help me learn about blogging. Thank you so much. I will be referring back to this as I continue on my journey. Thank you Judy! I’m so glad it’s helpful to you. Reach out if you have any questions about anything! Hi Erin! I know how you feel about hoping for monetization. You can dig away at getting your content and traffic up and miss out on offering other types of income generating avenues.Read – 10 Blog Side Services that Make Money. Many bloggers make more income in offering their own services than from traffic/ads. Thank you so much for posting this blog, it’s extremely insightful. I actually bookmarked it on my computer. It’s so difficult to figure so many things out, and your post made it a little easier to navigate. Thank you again! Thank you so much for your kind words, Jennifer! Really means a lot to know that I’m helping other bloggers.